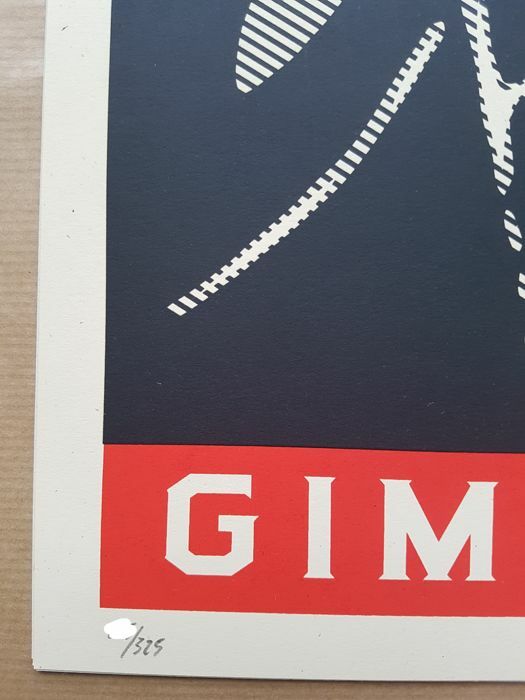 creen print on cream Speckletone paper. 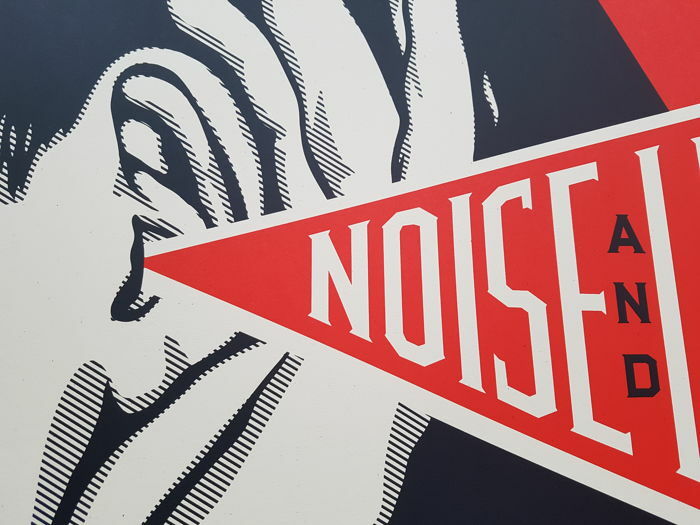 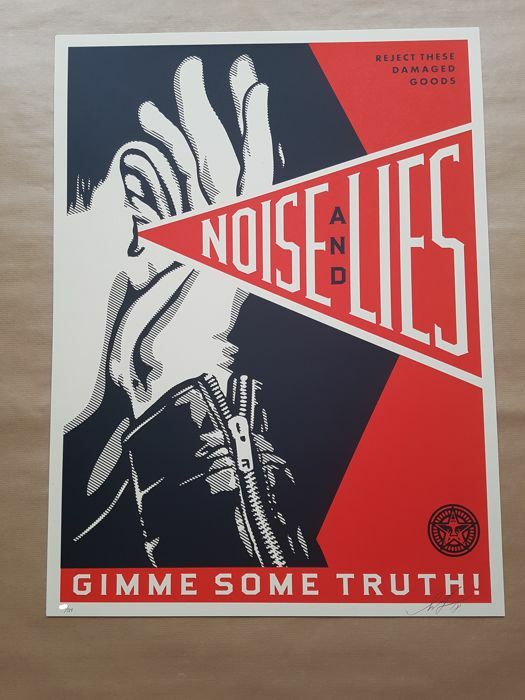 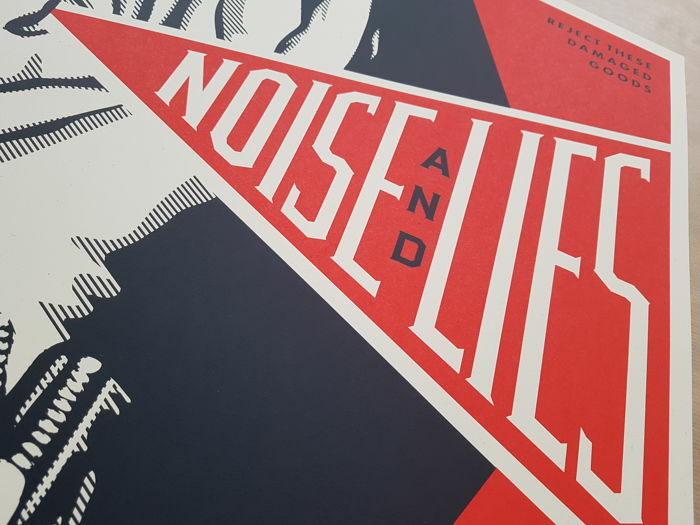 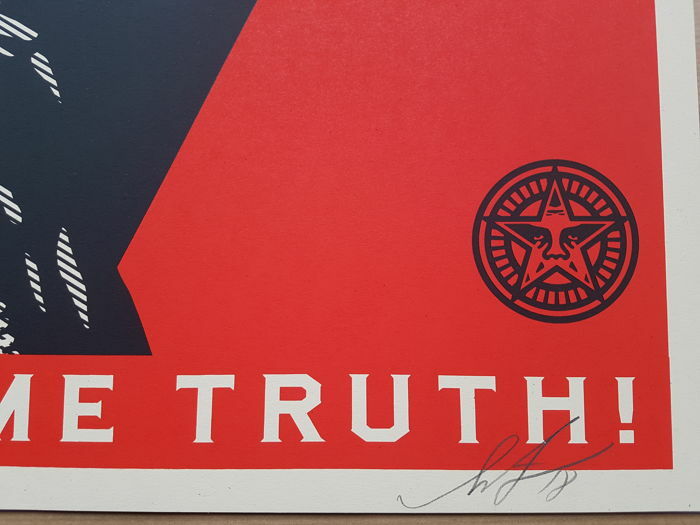 "The Noise & Lies print is both a nod to John Lennon’s “Gimme Some Truth” and my response to the disregard for facts and truth and the assault on the media waged by Donald Trump and members of his administration. 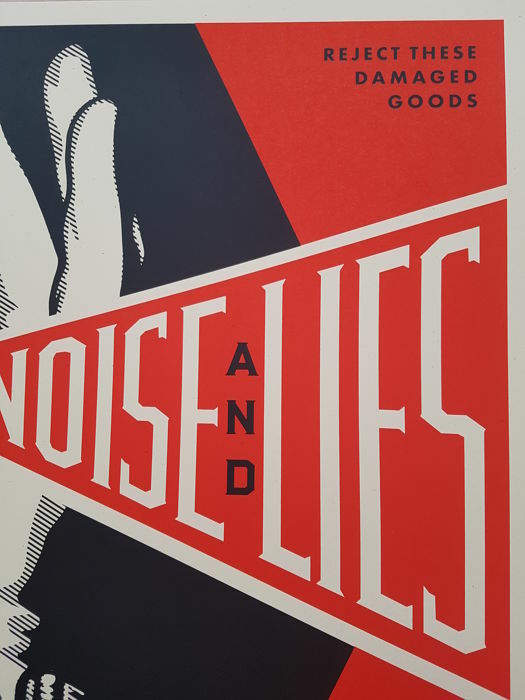 Trump has called the media “an enemy of the American people,” a tactic also used to undermine critics and avoid accountability by fascists and dictators including Stalin, Hitler, and Mao. 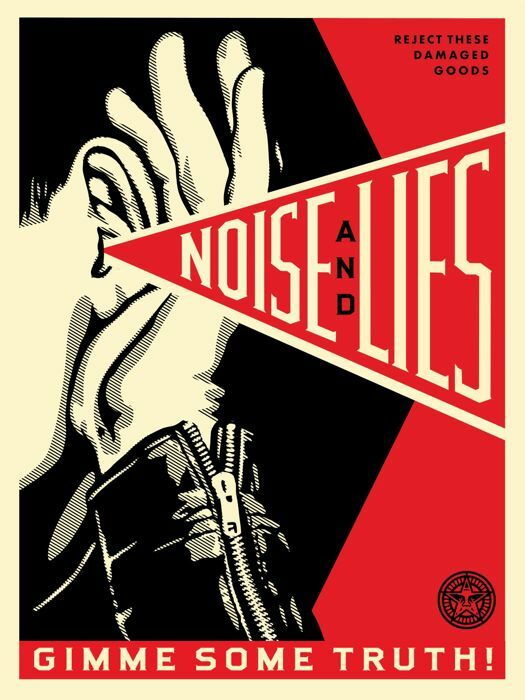 We are in dangerous territory as a nation and society, when lies and chaos from our leaders often go unchecked and the news organizations that do thorough investigation are attacked by the president for reporting the truths they find."